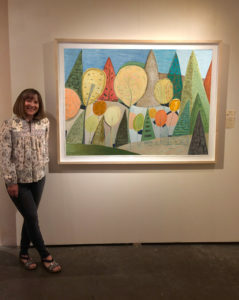 Sarah Bienvenu artist talk June 24th at 3pm in correlation with her newest solo exhibition Point of View on display June 15th-28th at Winterowd Fine Art. Point of View, an exhibition of new watercolors by Sarah Bienvenu, celebrates 40 years of painting in New Mexico. This event is free and open to the public.